Jammu and Kashmir RTO performs various functions. It's an authority assisting State Road Transportation, motor garages & Motor Vehicle department as well. Jammu and Kashmir RTO is a dynamic organisation. From issuing of driving license to the registration, it does all the functions. Governed by the Transport commissioner ; Jammu and Kashmir RTO is responsible for a couple of things. J & K Transport authority is responsible for enforcing the law as per the Motor Vehicle act of 1988. Time and again Jammu and Kashmir RTO authority create many programs. This initiative is taken to make people more aware of road safety. It also helps in preventing many accidents. Jammu & Kashmir RTO is constantly engaged in making the process smooth. From appointment to the delivery all is planned to get automated. As per the law its mandatory to get vehicle registered . Jammu and Kashmir RTO is the authority that assists in the same. For getting any kind of driving license we need to visit Jammu & Kashmir RTO. We can take a separate license for two-wheelers and four-wheelers. Combined license can also be received. Process for getting the same is quite systematic. 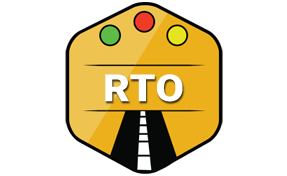 We need to take an appointment to visit specific RTO. On submission of a few documents and the test, the license is granted. However, we must ensure the documents provided by us are complete. These documents are thoroughly verified by the concerned authority. Also, we must clear the driving test. There are both theoretical and practical tests being conducted. If our paperwork is not complete or we fail the test than we may not get the required license. Besides that J & K RTO is responsible for any other activities. People or drive or possess vehicles must adhere to the rules as imposed by them. At times visiting Jammu & Kashmir RTO is must. Especially when we need to have a driving license than we need to visit their office. Though every city will have a separate office. But the central office is as follows. We can always get in touch with them for any concern. Usually, RTO offices are quite efficient and helpful in many ways. Transport Nagar, Jammu, Jammu and Kashmir – Pin Code 180004.